You can do something to help refugees from Syria. The complexity of the situation, the politics, the horrifying images in the media and the seemingly endless fighting tend to make us want to forget the families uprooted by the war. To think we can’t do anything meaningful. But we can. 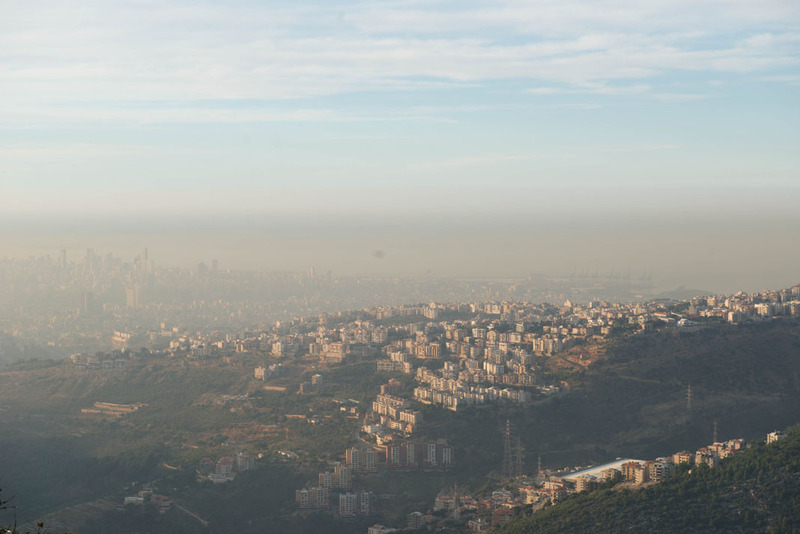 We can do something for the refugees who have poured into neighbouring Lebanon. We can do something for their children. We can help. The need is great, and the stories devastating. Upsetting. 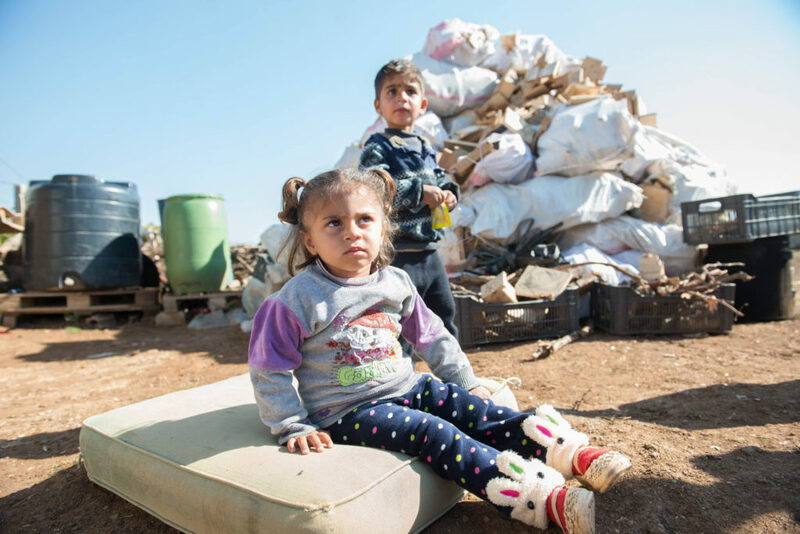 BMS World Mission has been helping Syrian refugees since 2011, first with immediate relief ‒ food, blankets, medical help ‒ and then, alongside continuing relief needs, with longer term support for refugee families. Today, our workers and partners are trying to make sure that the next generation of displaced Syrians is not lost. 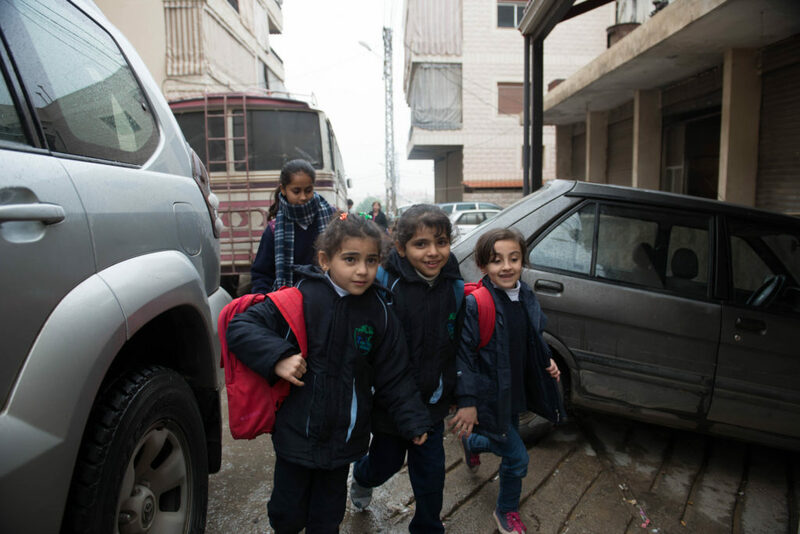 Your giving is making educational support, safe learning spaces, relief co-ordination and the love and help of our mission workers coming alongside refugee families on the ground possible. These things matter. They make a difference. And they are made possible by people like you. Praying. Giving. Dedicating your lives to go and serve our Syrian neighbours, our Lebanese neighbours, our Muslim neighbours, and the Christians working to help them. Your giving makes all of this work ‒ and our work with neighbours beyond Syria and all around the world ‒ possible. By supporting the work of BMS, by donating to this appeal, you are making a difference to the lives of suffering people around the world. 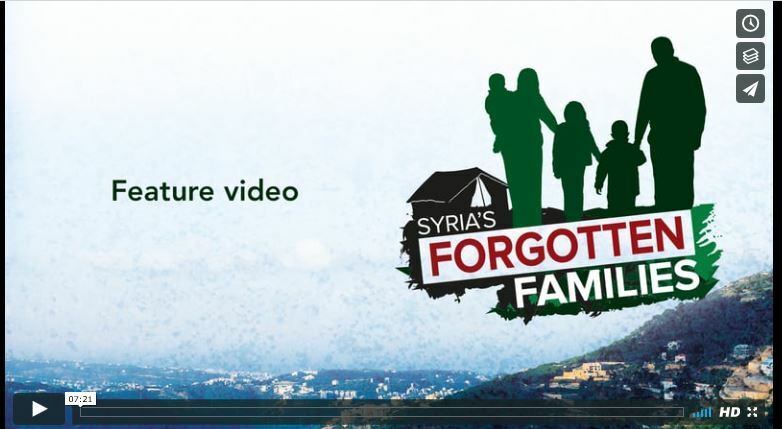 We have now released Syria’s Forgotten Families, a video resource with loads of ideas for how your church can get involved, pray and raise money to help. We are hoping that fellowships across Britain will commit to keeping Syria’s families in their prayers and on their hearts. You can order your copy of the DVD for your church or small group, or download the videos and other resources, below. From Isis to Iran, President Assad to Vladimir Putin, military solutions to missions of mercy, debates about what can be done to stop the bloodshed and stem the flow of refugees have rightly dominated our headlines and leaders’ agendas. This is right and good. But we must not let ourselves forget the real women, children and men who are sometimes overlooked in these debates. Syria’s Forgotten Families. They are our neighbours. And we must help them. 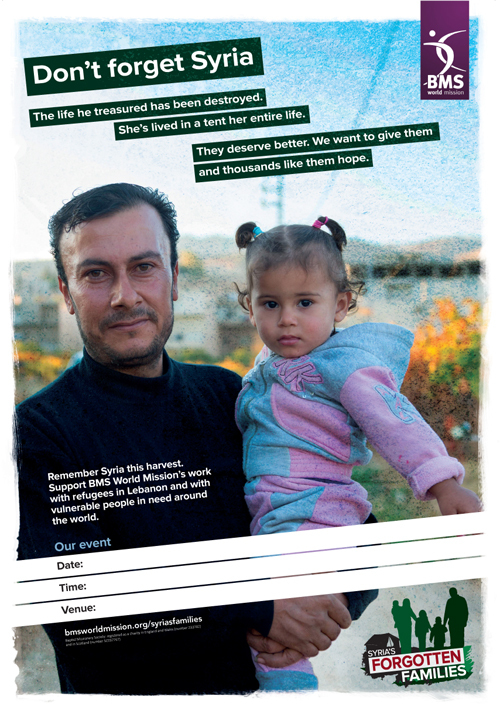 Sign your church up for the Syria’s Forgotten Families harvest appeal. Order your pack. Give today. Through our workers, through our partners, through your giving, together we can keep helping people. Your support makes this and other vital work around the world possible. Syria’s Forgotten Families is a fantastic video resource with loads of ideas for how your church can get involved and help Syrian refugee families and others in urgent need around the world. Order your DVD free of charge today. 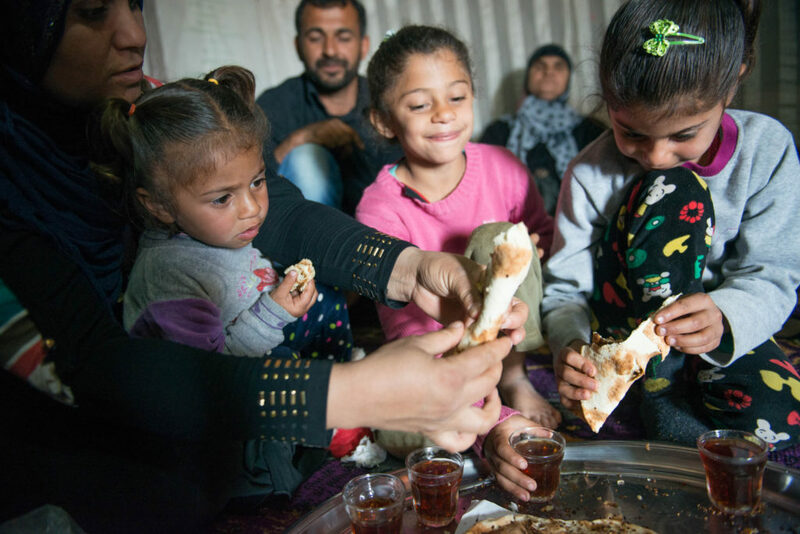 Syria’s Forgotten Families has been one of our best-supported appeals. 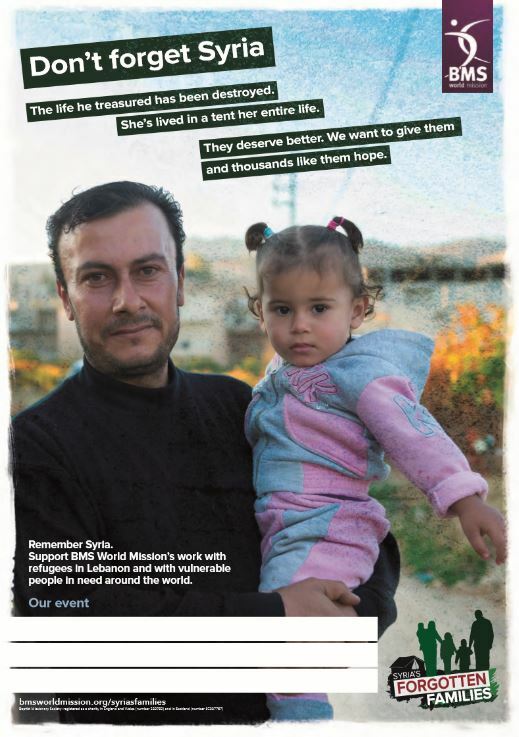 Please use this poster to support our work with vulnerable people like Syrian refugees around the world. A3 poster available to order and A4 poster available to download and print. Use these labels (one sheet of 10 labels) to create an instant collection jar out of almost any jar or box. Then send the money (or, ideally, a cheque for the amount!) 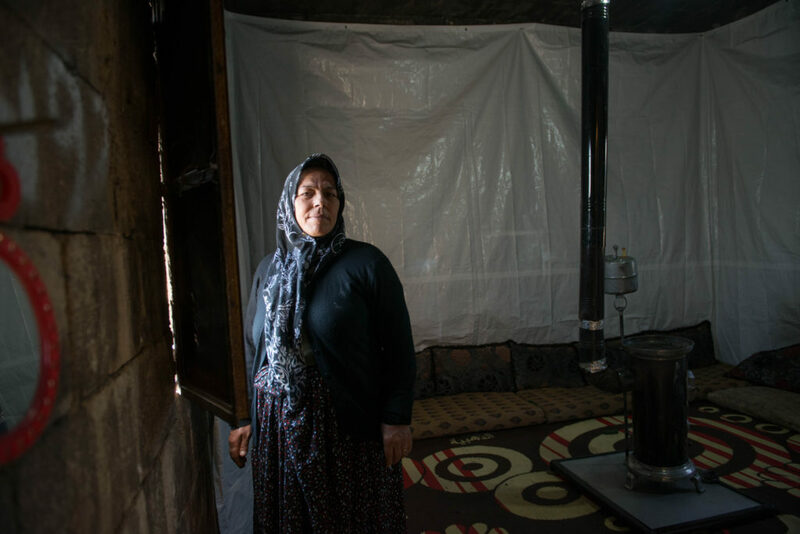 to BMS World Mission’s Syria’s Forgotten Families appeal. Ideas for sermons, fundraising and all-age activities to help raise awareness and support for Syria’s Forgotten Families. 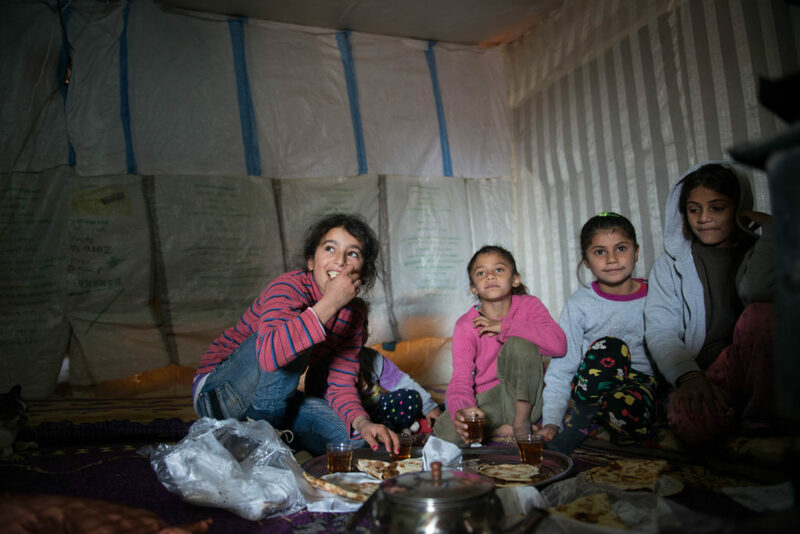 Syria’s Forgotten Families has been one of our best-supported appeals. Please use this poem to support our work with vulnerable people like syrian refugees around the world. 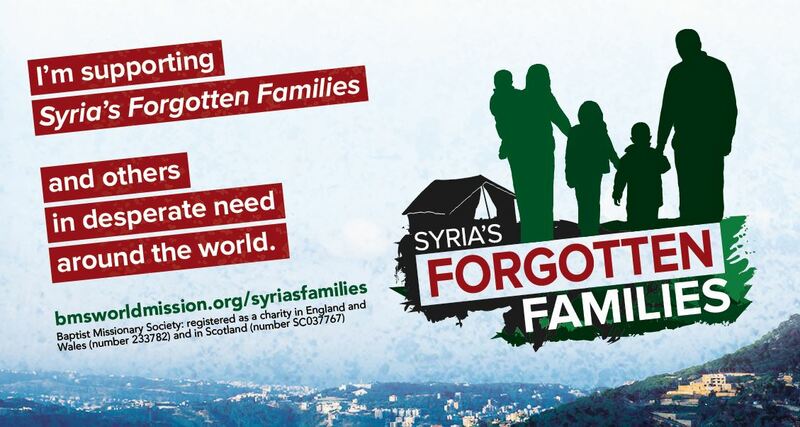 Use this advert to promote Syria’s Forgotten Families when designing your church notice sheet. 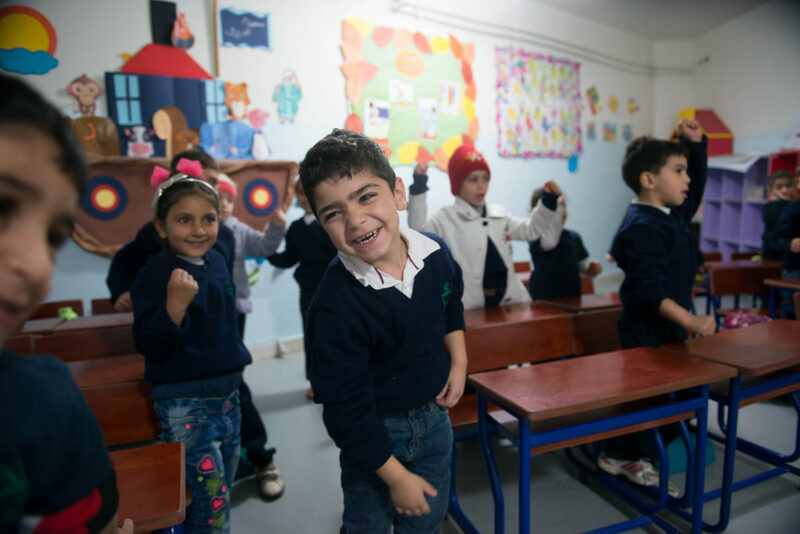 Please download and complete the remittance slip when sending a gift in response to Syria’s Forgotten Families. 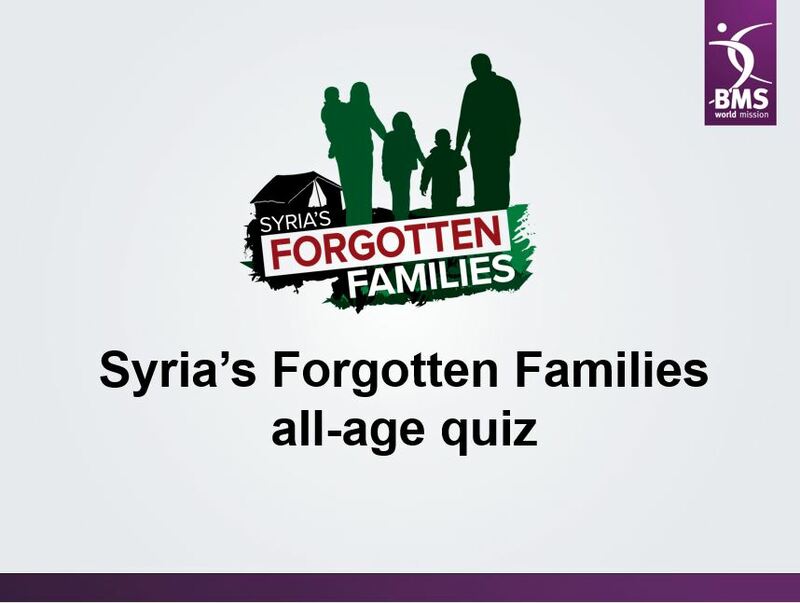 A family-friendly PowerPoint quiz to help your small group or church engage with our Syria’s Forgotten Families appeal.